For some, shopping is chore. For others, it's one of life's greatest pleasures. Either way, shopping on the North Shore can be quite an adventure. The area is blessed with two beautiful malls complete with dependable department stores and the expected national chains. But the region is equally blessed with a plethora of smaller chain and independent boutiques that offer women on the North Shore the chance to curate a style that is all her own regardless of age, style or budget. There is not one signature North Shore look, but according to Jennifer Stamper, owner of the award-winning Juniper Boutique in Northbrook, the North Shore woman "wants to look good, but feel good too. She's classic with a little edge. Knows the latest trends but is not too trendy." Stamper strives to help women find pieces that are as equally comfortable as their favorite pair of yoga pants but are much more put together. "Everyone is so busy," Stamper notes. "Whether they are running from a luncheon to school event to a dinner meeting, we want to help women to look good, be comfortable and feel they are appropriately dressed with perhaps only needing to change their shoes." With this spirit in mind, Stamper insists that splurging on good cashmere (quality matters as it will last longer and won't pill), premium denim with the right fit for your body type and style (nothing ages you worse than outdated denim), well made black pants (fabrics that don't stretch or bag) and a good fitting blazer (can be easily dressed up or down) are staples that everyone woman should have in their closet and splurge on if necessary. Her Fall must-haves include deep, rich colors (merlots and greens) and anything plaid – but especially loves the fitted, feminine silhouettes that are still super soft but more flattering that your boyfriend's old flannel. Julie Cohen, owner of Hubba Hubba in Wilmette echoes the same sentiment that plaid is all the rage this Fall. She also loves the season's focus on pleather, "it's fun, super soft, looks great with jeans and mixed materials and is easy to care for." Having recently relocated her boutique from the city, Cohen said the biggest difference in clientele is that she now has a much broader range of customers who frequent her store which she enjoys as it keeps it interesting. One signature item that she insists looks good on everyone regardless of size or age is the Krazy Larry pant line. "They are a superb fit; they come in prints and solids and are perfect for work or play. They look great with anything including flats, ankle booties, or tucked into tall boots and are great for travel and easy to care for." Other favorite brands include Michael Stars ("Great tops, great fabrics, comfortable but stylish") and Mystree ("Edgier with some embellishments, boho chic. It looks put together without too much effort"). 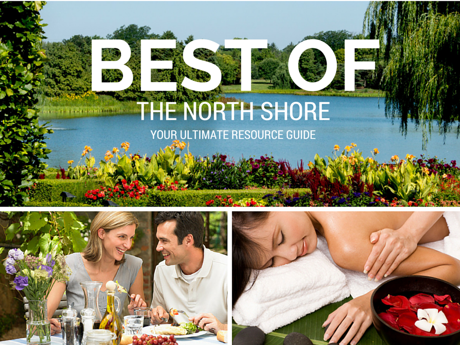 So without further ado, here it is, our complete shopping guide, organized by Village, to help you navigate the North Shore fashion landscape. Happy shopping! Accents Plus, 601 Davis St. This boutique offers an ageless and timeless collection of apparel and accessories. Artsy, bold and sophisticated looks for the woman looking to create a style that is all her own. But be warned, they are a bit old school when it comes to technology. Designer apparel and accessories without the designer attitude. A beautifully, well thought out store with chic and intriguing collections from both establish and emerging talent make the city girls venture out to the burbs. The prices are high, but the exceptional customer service, welcoming atmosphere and stylish appeal make it worth the splurge! CouCou & Olive, 1716 Sherman Ave. Focusing on the unique and timeless, CouCou & Olive carries a whole range of brands to fit every age and style, ranging from Free People, Frye and Michael Stars, to Porto and Babette, as well as many local and American made designers. Not too old, not too young, not too trendy…just right. 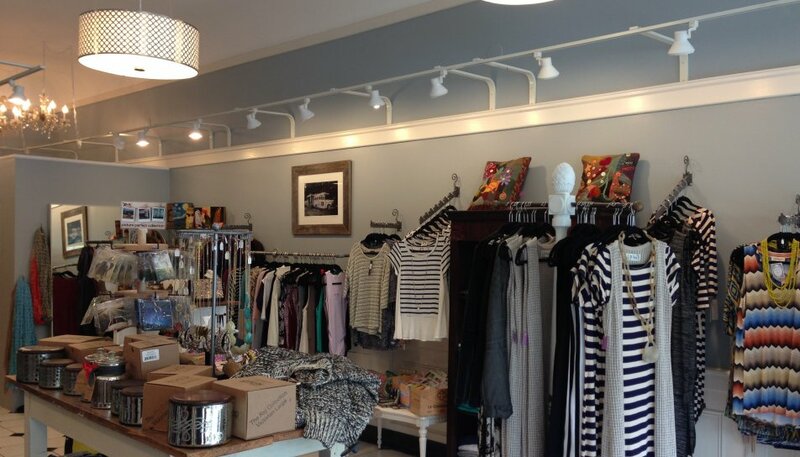 An upscale boutique that offers stylish looks in a cool atmosphere. While the fashion is fierce, the attitude is welcoming with an owner and sales staff that know their stuff and how to dress all body types. Brands include: Alice + Olivia, Goldsign, Helmut Lang, Patterson J Kincaid, Graham & Spencer and Rag & Bone. gigi Bottega, 612 Davis St.
gigi BOTTEGA is a clothing boutique offering everyday couture to the contemporary woman of all ages. They specializes in on trend wearable clothing at more affordable boutique price points. The store is well designed with and easy to shop layout. They purposely keep quantities low to keep merchandise unique to each customer. Brands include: Jack, BB Dakota, Olivaceous, Mink Pink and Naked Zebra. The name speaks for itself! Marie Parie is a French and vintage inspired boutique that sells a wonderful assortment of hand-picked clothing, accessories, scents and jewelry. Here you'll escape from the everyday and indulge your feminine side; luckily most items are reasonably priced. Often described as, "the smallest department store ever," Notice truly does have something for everyone. Fashion-forward clothing, trending accessories for men and women, baby and kids items, personal care luxuries and quirky, clever gifts fill the store. They pride themselves on finding well-made treasures you won't necessarily find everywhere else. Relish offers well-tailored, feminine clothing for women that prefer more classic and sophisticated looks. Although they do mix it up a bit, so you'll never know what must-have item you'll find on the next rack! Plus lots of fun jewelry, including local artist Ivy Herman. A chic and funky boutique filled with one-of-a-kind treasures. Stella offers an eclectic mix of clothing, jewelry, handbags, accessories, home accoutrements and gifts with price points to fit most budgets. There's a reason why so many rave about this place. Fresh, chic, beautiful designs, with a classically contemporary sophistication that make you look and feel like a million bucks. Most of the items come from Europe, prices can be high ($100-$200 range and up) but not outrageous; plus they have great sales and exceptional customer service to boot. 522 Envy, 522 Davis St.
522 Envy loves color, prints, dresses and casual-cool clothes, but most importantly, they love outfits that are affordable for everyone! Super trendy and super adorable! Hubba Hubba, 1105 Central Ave.
Hubba Hubba offers moderately priced women's romantic and classic-style clothing from casual day to dressy date night. They also carry new and vintage costume jewelry and other fun accessories. Join their e-mail list and get $10 gift certificate on your birthday. They recently moved from their city location and are known for great sales and fun special events on the first Thursday of every month. Vibrato, Plaza del Lago, 1515 Sheridan Rd. Vibrato is a boutique designed to give "women of taste" a multitude of choices in selecting the perfect outfit for any occasion. Their aim is to offer beautiful clothes, jewelry, shoes, accessories, and gifts from all over the world, for women of all ages, and in all price ranges, in a comfortable, friendly, and visually enticing atmosphere. Brands include: Desigual, Bailey 44, Nanette Lepore, Black Halo, Lauren Videl, Deca, Muse, Alexis Bittar, Rebel, Big Buddha, La Canadienne, Biviel, and many more. Additional location: The Glen Town Center, 2021 Tower Drive. Fox's Designer Clothing, 9444 Skokie Blvd. Fox's is a designer outlet store with discounted prices due that carries overstock items of the current year's fashion. New items arrive daily so the inventory constantly changes. It can be hit or miss but they have a rather large and varied selection of women's apparel as well as, shoes, jewelry, accessories and outerwear. Open style dressing room so consider yourself warned! Ella Louvi, The Glen Town Center, 1879 Tower Dr.
Ella Louvi offers a great selection of unique clothes for dressing up or down in a vintage, gallery-like setting. High quality clothes with great attention to detail in a wide range of prices that you won't find everywhere else. Evereve, The Glen Town Center, 2670 Navy Blvd. This store was created with the fashionable mom in mind. Although kid friendly, Evereve is a dedicated resource for moms looking for upscale, on-trend, contemporary apparel and accessories that fit their lifestyle. Premium denim, chunky sweaters, plenty of layers and outerwear for the ever changing Chicago weather, plus going out tops for when the opportunity presents itself. The staff is very hands-on which can be a good or bad thing depending on your personality! Stella 315, The Glen Town Center, 1911 Tower Dr. High-end looks without the fuss and high prices! Cute, easy to wear clothes from casual to party that compliment any wardrobe, plus great jewelry. What more could you ask for? Vintage Nest, The Glen Town Center, 1892 Tower Dr.
Vintage Nest is a women's clothing, accessories and home furnishings store all rolled into one. From the name you can guess that all of the items are vintage inspired mixed in with antique finds and re-purposed furniture. It's very easy to get caught up in the magic of the store, as treasures abound everywhere and are reasonably priced! E Street Denim, 908 Greenbay Rd. This premium denim haven is a sister store to the Highland Park location (see full description), however, the Winnetka location caters to women only. Frances Heffernan and Frannie, 810 Elm St. Since 1932, this luxury boutique has been helping women on the North Shore accentuate their own unique style and personality with refined collections (including formal wear) that offer classic tastes with chic styling. The sister store, Frannie, encourages clients to take more risks with slightly edgier and eclectic collections for unique looks that are all their own. Le Chic Boutique, 950 Green Bay Rd. Le Chic Boutique is a luxury boutique filled with stylish, elegant clothing, handbags, furs and accessories. Many of our items are custom-made as they strive to offer a personal experience for each customer. They also offer personal closet editing and wardrobe management services. Londo Mondo, 558 Green Bay Rd. This Gold Coast staple recently opened a Winnetka location bringing its fabulous yearlong selection of swimwear and active wear to the North Shore. In addition, Londo Mondo also features a great selection of contemporary fashions and handmade jewelry for any occasion. Signature lines include: Amanda Uprichard, Tart, Trina Turk, Robin Piccone, Sauvage and L-Space. Mattie M, 990 Green Bay Rd. Mattie M is a high end contemporary and modern women's boutique featuring exclusive and unique lines from Europe and the United States. Their selection of sportswear, resort wear, dresses and accessories constantly changes with the seasonal influence of each and every market. Signature lines include Babette, LaFayette 148, Tolani, Teri Jon and Elliot Lauren. Straight from the runway, neapolitan is a luxury shopper's Mecca, offering exquisite designer apparel, shoes and accessories on Chicago's north shore. The boutique features sophisticated styles from exclusive American and European designers, including Lanvin, Christian Dior, Fendi and Prada, among others. On a budget? Lookout for their sales which offer amazing deals! Randoons, 962 ½ Green Bay Rd. A true neighborhood treasure with a little something for everyone. They carry an array of unique lines including jeans, tops and dresses for women, as well accessories, gifts and baby items. Featuring mostly smaller artistic designers, you'll be sure to score one-of-a-kind looks here. Skändal, 907 Green Bay Rd. Skändal continues to break new ground by being the first store in the United States to carry many major labels found only in Northern Europe. This super hip, cutting edge, high end boutique features apparel, shoes, accessories and gifts from Stockholm, Copenhagen, Oslo, Helsinki and beyond, guaranteeing you'll find sleek, unique styles that are not readily available anywhere else. Located inside the Laundry Mall next to Starbucks, this gem of a store is both unique and beautiful with top notch service. They carry a well edited selection of upscale boutique women's clothing from jeans and sweaters to party dresses, as well as accessories and a great selection of gift items including for home and men. Second Location: 227 E. Westminster, Lake Forest. Juniper Boutique, 1346 Shermer Rd. Juniper carries a well edited collection of effortlessly chic and contemporary apparel, jewelry and accessories. 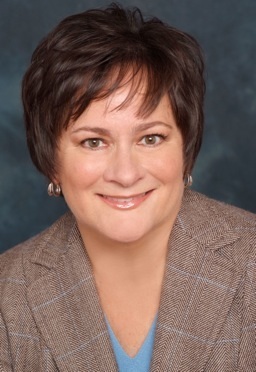 Known for their exceptional customer service and styling expertise, co-owner Jennifer Stamper is a former Oprah Winfrey Show producer that oversaw the fan-favorite fashion and make-over shows. Signature brands include: Bella Dahl, Maison Scotch, DL 1961, Current Elliott, Equipment, Bailey 44 and Emerson Fry. KOVET Boutique, 1036 Willow Rd. A relative newcomer to the North Shore, KOVET is a boutique dedicated to stunning fashions with an edgier, L.A. vibe and atmosphere to match. Unique brands include Joran Louis, Keepsake, The Fifth Label, Mother Denim and Bec & Bridge. Moderate to pricier items. Mainstream Boutique, 936B Willow Rd. Mainstream offers on-trend items all moderately priced. Unique, artsy, boho brands with a helpful staff. Accessories and gift items as well. Payton Rose, 2760 Dundee Rd. Payton Rose features a full range of clothing for all sizes from trendy moms to classics for more mature ladies. Shoes, bags and jewelry as well. Fair price points, everything under $100. Northbrook Court Mall, 515 Lake Cook Rd. Village Square: Lake Cook Rd. A Bargain hunter's delight. Signature stores include: OFF 5th, Nordstrom Rack, DSW, Old Navy, Marshall's and T J Maxx. Ami Ami, 668 Central Ave.
A keen eye for new fashion, Ami Ami prides itself on finding new designers (both American and European) and trends before others. The owners of this high-end boutique are known for their expertise in helping to design a wardrobe or put together an outfit for a special occasion. ENAZ describes itself as an eclectic journey to fashion, urban awareness and organic chic paralleling with sensible style. They carry a lot of well-known trendy lines including Acrobat, Generation Love, J Brand, White & Warren and Dana Rebecca Designs and have a fabulous selection of jewelry and accessories. They are also known for their Spa Bar featuring soothing lotions, washes and oils. Additional location in Northfield: 309 Happ Rd. E Street Denim, 1876 1st St. Known for the wide range and huge selection of premium denim, E Street also carries a lot of fun, trendy lines – think Michael Stars, Free People, 3 Dot, and has a great selection of tops, active wear, accessories and gifts. Make it a family destination as they carry Men's and Children's items as well! JAYNE is, "an ageless adventure of clothing, jewelry, accessories and home goods." Often described as boho chic, the store carries lots of fun, trendy lines that are not necessarily cheap, but are priced better here than at most boutiques. They have an extensive selection of shoes and always have a sales rack where you can score some great deals. Modern Opulence, 461 Central Ave. Catering to the modern woman, Modern Opulence offers a sophisticated collection of apparel, jewelry and accessories that tend to feature more clean lines and neutral color palettes. With a mix of price points that lean more to the higher end of boutique trendy, the store's signature lines include: Chan Luu. DL 1961, Sachin+Babi, LA Made, Love Heals, Marcia Moran, Monserat De Lucca, Susana Monaco and Whiting & Davis. Over The Top, 1866 1st St.
After years of personally styling, new owner Susan Ostov has given Over The Top a face-lift, with a fresh selection of modern and classic apparel to help women of varying tastes complete their wardrobes. Signature lines include: MA+ch, Libretto, Autumn Cashmere, Yoana Baraschi, Central Park West and Barbara Wells Studio. Rocks N' Rags, 1821 Saint Johns Ave.
Get ready to channel your inner rock star! Rocks N' Rags is where music meets fashion. Their goal is to provide on trend, affordable merchandise to help inspire and build the confidence of every customer. Funky junior cut top and tanks, rompers, jackets, printed pants and jewelry - anything that gives off an oh so cool vibe – mixed in with a great selection of vinyl and CD's plus other music memorabilia. 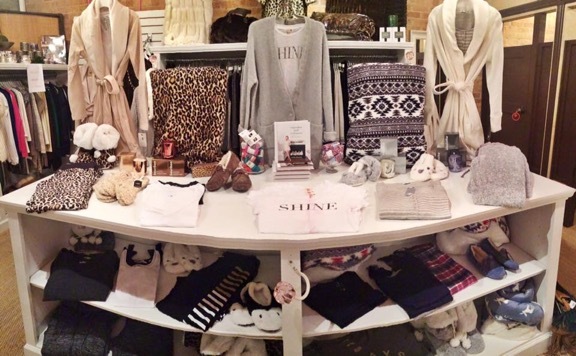 SoShee Boutique, 599 Roger Williams Ave.
A hidden treasure located in the Ravinia District (not downtown HP). Well stocked with upscale trendy, edgy yet classic and chic apparel and accessories. Great sale room in back of store. Signature lines include: Sen, Lavender Brown, Tart, Chaser Ecru, Level 99 and Mavi. Wear in Good Health, 1819 Saint Johns Ave.
A relatively new "affordable luxury" apparel brand ($200+) that is American-made, and toxic chemical free. Softer than soft materials and impeccable craftsmanship go into every item from casual to dress. The owner designs each and every piece. They also carry a great selection of vintage inspired jewelry. Avenue Fashions, Deerfield Square, 720 Waukegan Rd. Avenue Fashions offers the finest in contemporary, elegant clothing. Known for their exquisite collection of cocktail to formal dresses, they also carry contemporary sportswear with accessories to match all categories. They have been in business for more than 60 years. Just Between Friends, Deerfield Square, 740 Waukegan Rd. A fun boutique specializing in trendy clothing, dresses (more for tweens/teens) and accessories for tweens, teens and women. Mostly moderately priced items when compared to other boutiques. Perfect for when you want to pick up a little something to brighten up your day! Runway, Deerfield Square, 720 Waukegan Rd. An upscale boutique that offers department store finds in the convenience of your local neighborhood square. Lots of premium denim, plus everything from cozy sweats and basics to date night chic. This upscale boutique offers a great combination of brands, combining on trend items with classics that you'll have in your closet forever. Everything from active wear to dresses plus shoes and accessories as well. Lines include: Rebecca Taylor, AG, Rebecca Minkoff, Beyond Yoga, Joie, Tolani and Vince and Kendra Scott. The Lake Forest Shop, 265 Market Sq. For nearly nine decades, discerning women of style have chosen The Lake Forest Shop for their fashion needs. This luxury shop has been passed down to granddaughter and current owner, Ellen Stirling, whose fashion genius can be attributed to her grandmother as well as her uncle, Conde Nast of Vogue fame. The Lake Forest Shop is especially known for their special occasion dresses and offers on site alterations.